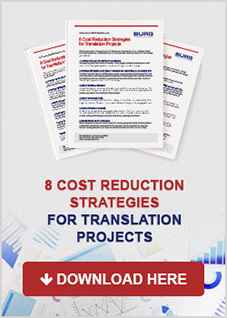 File type can play a key role in determining the scope and cost of a translation project. 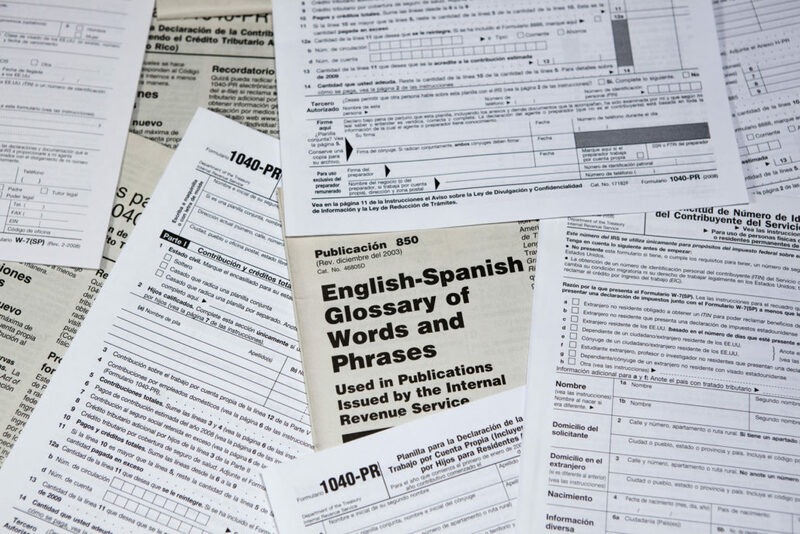 The types of files requested for translation can cause a project to vary in cost by up to 40%. Microsoft Word files generally entail less involvement outside of translation and editing. On the other hand, files that come from software such as Adobe InDesign or Adobe Illustrator require the work of specialists to retain the layout quality of the original source. In the case of design work, the cost of this specialized work is estimated based on the number of pages. On average, a design team can complete 4 pages per hour. Other file types, such as video files requiring voice over, or HTML files containing strings of code, necessitate an extraction of the text prior to translation. The translated text may require some manipulation due to character limits within the software or to stay within a particular number of seconds so as to pair with an audio segment. Since each file type has its own workflow, it is necessary for Client Managers to understand file types to perform an estimate. Most languages vary by about 25% in cost. A legal client may decide they want an email correspondence translated from Simplified Chinese into English for their own internal use and understanding. In contrast, a real estate client may decide they want to expand their market by having their brochures translated in to Canadian French and Mexican Spanish. An important, but not necessary, piece of information in any translation project is knowing the source language and the target language. Without having source documents, the language combinations can often change during this phase of the project. It is important to note that language combination not only affects price but also the turnaround time. Some languages, like Spanish, have a larger base of translators specialized in a variety of fields. On the other hand, Somali linguists are less readily available. As a rule of thumb, the more common the language is and the more translators there are, the less expensive the translation will be. Word count is another major factor in estimating the cost of a translation project. Without source files available, general assumptions can be used to generate an approximate word count. For example, one can assume an average number of words per page or characters per line and extrapolate to determine the overall word count. Depending on the kind document, words per page can vary by up to 50% or more. Occasionally, a client may have one or two samples of the source files they want translated, which can be used as guides to estimate the remaining files in scope. Additionally, if the files have repeated text as noted by the client, a percentage of the word count is subtracted as the client is not charged for the translation of the same text twice. This is common in documents such as Informed Consent Forms or template letters generated from the client to a customer. This repetition of segments within a document or between several documents greatly decreases cost and can ensure consistency throughout a project or within a company’s documentation as a whole. Certain file types, such as scanned PDFs and graphic files, pose a particular issue in determining potential repetitions because the words are not in the form of accessible text. As general rule, and for file types that qualify, BURG assumes repetition between 0% and 20%. A translator can only type so fast without making mistakes, and an editor can only read so fast without missing errors. The industry-accepted norms are 2000 words per day for translation, and 4000 words per day for editing. Working at a higher speed creates significant risk of an error appearing in the final deliverable. For rare languages, availability of the team needs to be taken into account. If a client requests that the translation be completed faster than the industry norm, then the translation team will likely have to work late into the night or work weekends to meet the client’s needs. As a result, the translation team may charge extra for the hardship, which the Client Manager will forward on to the client. It is the role of the Client Manager to help the client clarify what is genuinely necessary to be rushed, what the risks are, and what is feasible. Estimates without source files carry a limited degree of value. To improve predictability and help manage client expectations, a range of values is provided. Once access to the source materials is obtained, the value of the project is recalculated to complete certainty.